'Puncta' er rosa-rød og ligner R. minus men er hybriden (R. ferrugineum x minus var. minus). Photo number 45 seems to be the best close-up I have of a truss of Creel's Snowbank. Photo 44 shows the variety's prostrate spreading habit. 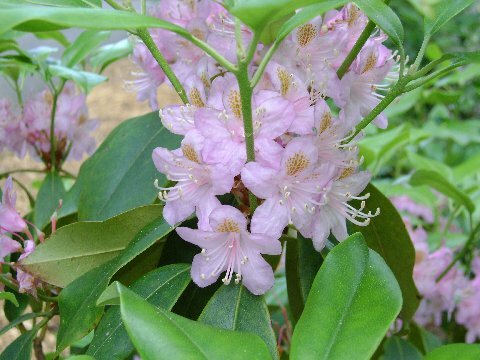 It blooms early for an evergreen rhododendron, in mid-May, at the same time as Rhododendron flammeum. 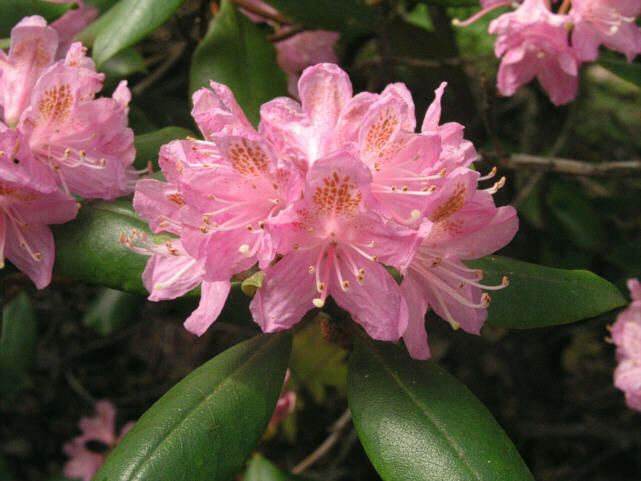 No other evergreen rhododendron blooms at the same time, but it produces heavy seed every year, unless impacted by drought. It is very heat tolerant and has thrived in down to 13 F degrees here in central South Carolina. 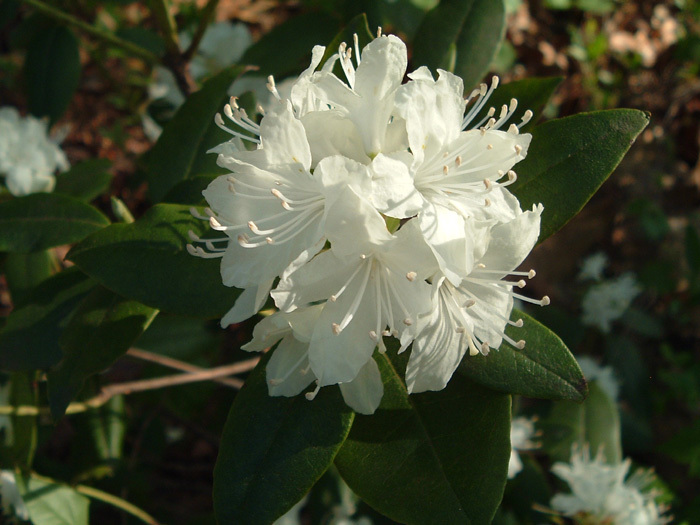 It blooms well before Rhododendron chapmanii and my mountain form of Rhododendorn minus. R. minus var. minus blooms later than var. carolineanum in midseason after the leaves on the trees have fully expanded. 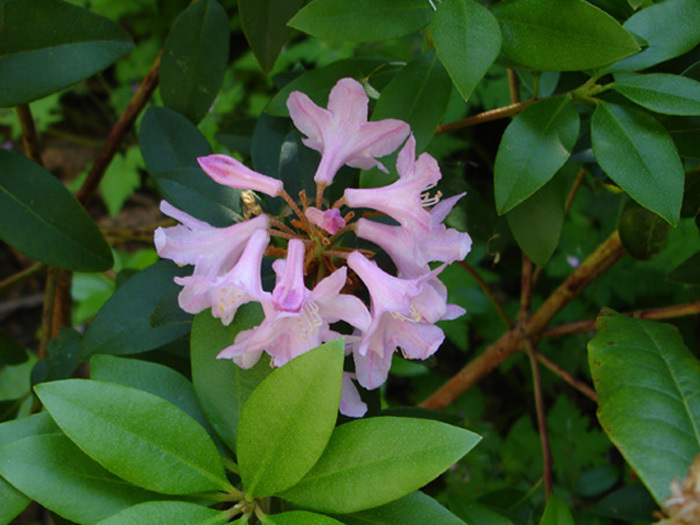 Its flowers are tubular and usually pink but there are some with white, purple, or rose colored blooms. The plants can be quite large, over 2 meters in height and leaves on some plants can be as much as 10 cm in length. 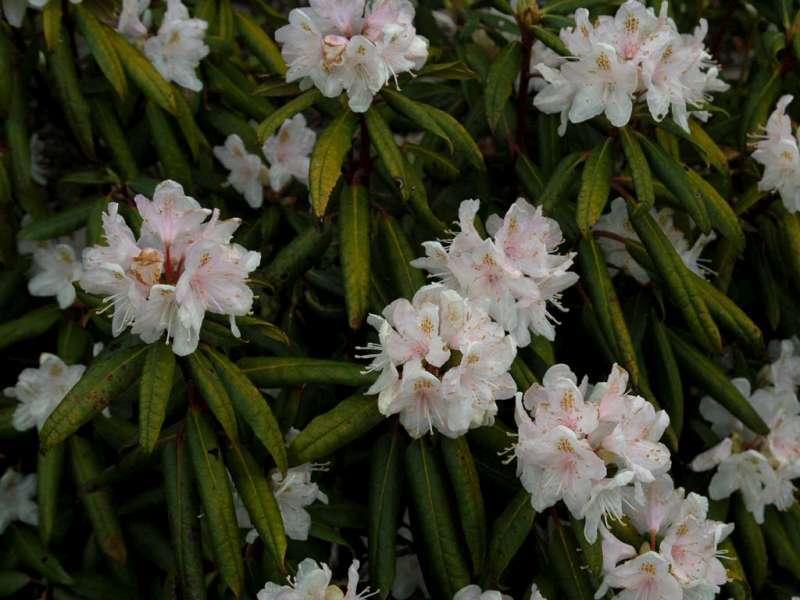 It grows at low elevations and is definitely a more southern plant. 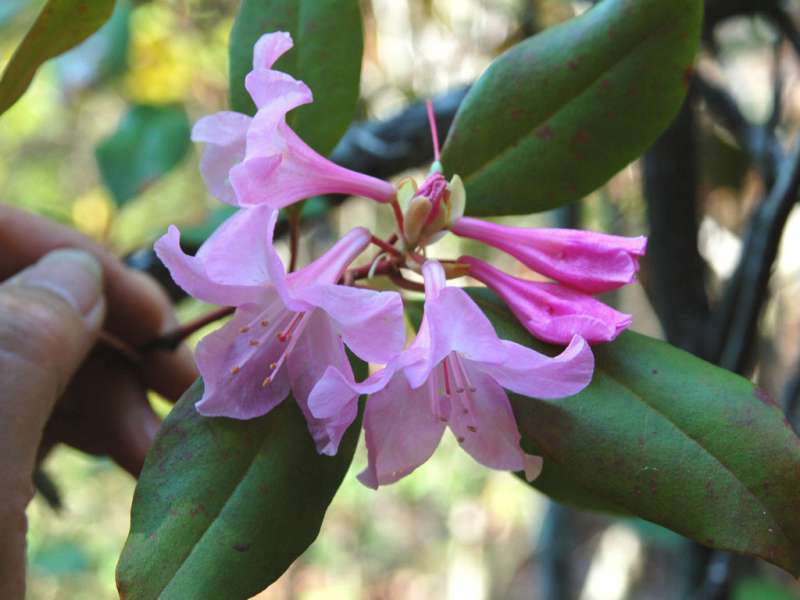 We have seen an occasional plant as far north as the base of the Smokies, but always at the lower elevations. The picture I sent you was taken in Providence Canyon in Georgia, which is not far from the Gulf of Mexico. There will be seed of that in the seed exchange this year. 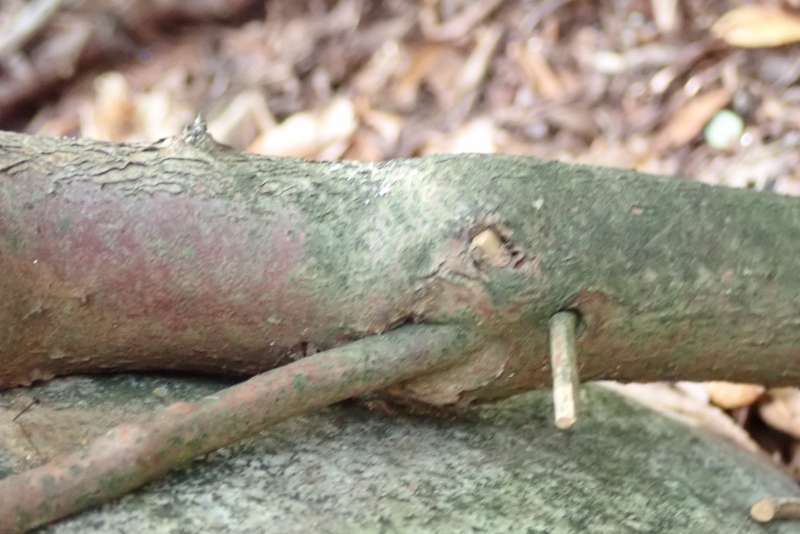 I am not sure how happy that plant will be for you since it grows in areas with very hot summers, temperatures frequently exceeding 40 C. I can see R. chapmanii from Florida being a compact variant of this species, but I don't see it being the same thing as carolinianum. The third form is acompact to dwarf plant, rarely over 0.5 meters high. 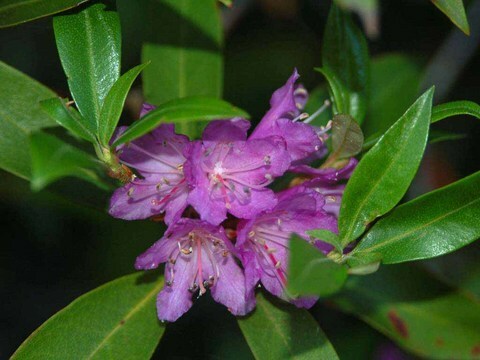 It has small purple flowers and as far as I know it does not have a varietal distinction. The foliage looks more like R. keiskei than R. carolinianum or R. minus. 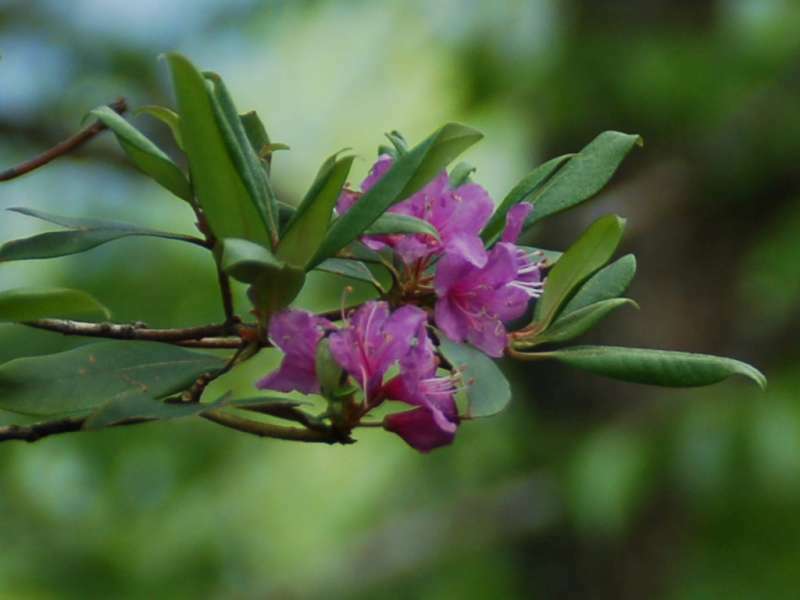 It grows basically on cliffs and very well drained slopes on just a few of the highest mountains in the Great Smoky Mountain National Park, between 1500 to 1900 meters. It has a very small natural area of distribution. Its flowers are small, rarely over 2 cm across, and the color range is primarily in the purple range with some forms that are lavender and other deep rose pink. We have never seen any lighter colors or whites. 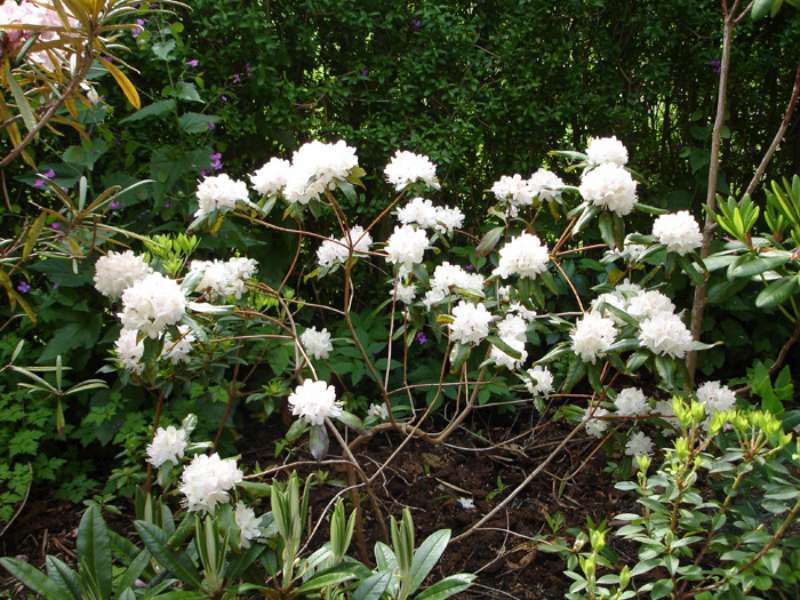 It blooms much later than any of the others... at the same time as Kalmia and at the beginning of R. maximum's bloom time.